Knowing how long a company has been in steel fabrication is important, as well as knowing what type of projects they’ve done. Industrial Resources has a team of top-notch engineers to design projects. Industrial has six registered professional engineers on staff consisting of mechanical, civil, structural, process and electrical engineers that have more than 100 years of combined experience. What Type of Equipment Do You Have for Steel Fabrication? 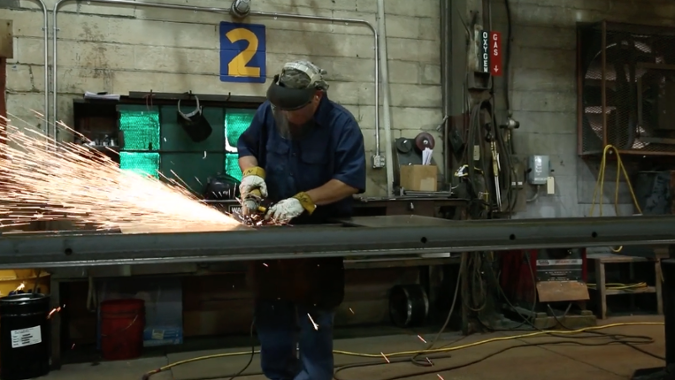 Fabricators invest heavily in themselves, and it’s only normal that they should do so with the equipment they work with. 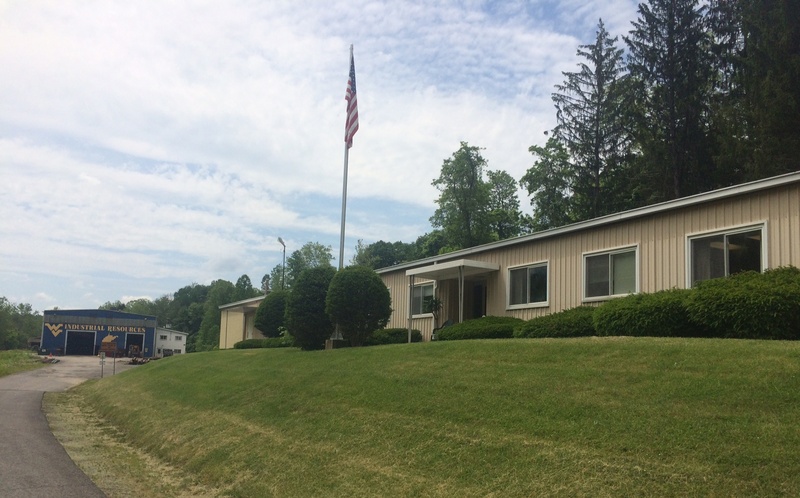 Industrial Resources maintains a fully equipped steel fabrication facility in our Fairmont, West Virginia, base of operations; however, we can ship our products anywhere in the country. On August 8, 2017, Mountaineer Resources, Inc., a sister company to Industrial Resources, Inc., was contracted by Turn-Key Processing Solutions (TPS) to assist in constructing a turnkey frac sand screening facility for Black Mountain Sand’s Vest Site near Kermit, Texas along with another location called the Eldorado Site in Winkler County, Texas. These facilities will produce a high quality, cost effective regional sand that will be used within the oil and gas industry. Read more about the project here. Allegheny Mineral--a leading supplier of aggregates to the Pennsylvania market-- certainly understands these economics, and for the past 20 years, has been using a 3,100 ft. long, 42-inch conveyor to transport crushed limestone from an existing pit primary crusher to their existing processing plant and storage yard at their Slippery Rock Quarry in northwestern Pennsylvania. Industrial Resources was engaged to develop a preliminary engineering design report and to assist with the necessary planning to further define the proposed conveyor project. Read more about the project here. Can You Handle the Project From Start to End? Benefits of hiring a turnkey engineering firm are that the project is under one single contract. A Turnkey company will be aware of a project’s needs from an engineering standpoint, a fabrication standpoint, as well as the installation standpoint. To learn more about why it’s important to hire a turnkey engineering company, click here. Industrial Resources is a turn-key contractor that designs, details, fabricates and installs custom facilities such as overland conveyors, transshipment facilities, coal preparation plants, frac sand facilities and other material processing facilities. Having an AISC certified Steel Fabricator is important. A certified fabricator can provide their customers with the assurance that their fabrication facility has the personnel, organization, experience, procedures, knowledge, equipment and commitment to produce fabricated steel to the standard of quality required for structural steel building construction. Our fabrication facility is certified with the American Institute of Steel Construction (AISC) of a “Standard for Steel Building Structures" and can fabricate and produce 300 tons per month of fabricated steel, plate work and material handling conveyors. Continuously monitoring; For example, before you paint, you will need to confirm the inside temperature of the paint facility and the temperature of the steel to ensure that the temperature matches the painting instructions that are needed to begin painting. Calibrating equipment, such as welding machines, measuring tapes, framing squares, drill line, plasma burning machine, dry film thickness meter, ambient temperature gauge, surface blast meter & filet gauges for proper welding. Welding procedures are inspected by a certified welding inspector. The inspector will perform visual inspections of every weld, monitor the surface preparation, ambient temperature of paint facility, dry film thickness of the paint along with a final inspection of the fabricated components. All welders are tested to confirm their ability to weld steel within the guidelines of the AISC Standard Requirements. In some cases there are outside sources contracted to conduct non-destructive testing which may consists of: Dye penetration testing, magnetic particle testing and ultrasonic inspections. These are highly advanced technical procedures that are used to inspect welds to ensure that they are watertight and without deficiencies. Additionally, during the testing of the welders, a tensile and pull test will be performed of the welded area of the steel to see that the weld passes these test. Three bolts out of each lot of bolts must be tested to make sure they meet the standard requirements. A Skidmore-Wilhelm Testing Machine device is used to torque the bolts down to the specified amount and test to see if they hold their integrity. The results of the test will then be recorded and filed in the system for each particular project. A high volume of data is organized, entered and filed by the project Sales Order Number for each project. All information can be downloaded and provided to the customer in a matter of minutes. Detailed drawings are developed for the fabricators to fabricate the steel and construction drawings are developed for the erectors to erect the projects in the field . Becoming AISC Certified is an extremely rigorous process; however, with this certification, it takes the fabricator to a new level of standards, quality and accountability. All AISC Certified Fabrication Facilities are audited yearly to confirm that they are following all the requirements of the standards. Choosing the wrong fabrication team can set your project back in time and cost you money. To learn more about being AISC Certified, click here. Industrial Resources has been in business for 71 years and have set a standard for safety, working as a team and providing the customer with a quality product that they can be proud of and one that can provide for their service and intentions for years to come. If you would like to talk to us about your next fabrication project, tour our facility or have questions about pricing, please contact John Pellegrin, Jr., VP, Manager of Sales for Industrial Resources at jpellegrinjr@indres.com or call (304) 363-4100, ext. 136.